Your resume is your first opportunity to make a good impression with hiring managers. But how can you create a document that makes you stand out from the crowd? Simple: Make the job easy for the person reviewing it! It can’t be a passive piece of paper. 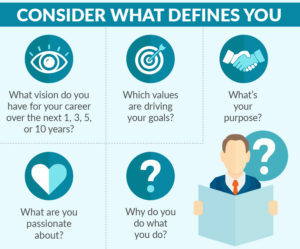 It must be a passionate representation of who you are and why you are the best person for the job. Your resume is your first impression before you meet someone, it shows your attention to detail, writing, and organizational skills. Business Insider captured how more than two dozen recruiters look at applications and they found that most managers spend only an average of 6 seconds reviewing each resume. Watch the full video here. In today’s competitive job market, it’s important that you help employers see the benefits of hiring you over someone else. Organizations need to know that you will help them attain their corporate objectives. Your resume is the first step in expressing that message to them. Mirror the Language of the Job Posting: Bullet points, active verbs, and common industry acronyms can help show off your skills. Use concrete data points — it helps provide recruiters with the scope and context of your work and demonstrates how you contributed to the bottom line. Have someone Revise and Edit your resume before submission. The more eyes, the better! Ultimately, the best way to get your resume seen and in front of the right hiring manager is through a connection. 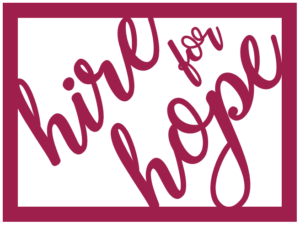 Hire For Hope is that trusted partner and link to all your career endeavors.